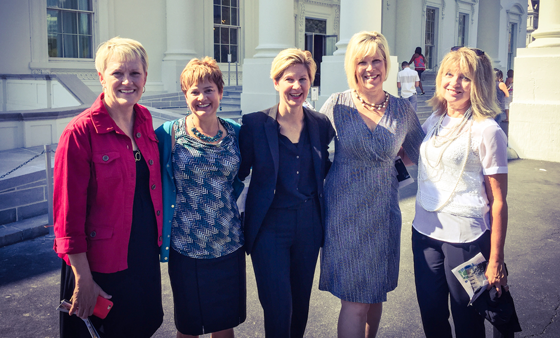 Women's Foundation Board goes to D.C.
Last week five members from our board traveled to Washington D.C. at their own expense to meet with research and policy organizations and makers to learn of best practices that can be applied to the Women’s Foundation here at home. The Women’s Foundation is committed to being an avid learner and this is one way our organization can continue our commitment to learning. Luncheon General Tickets Available Soon! Sponsorships Still Available! 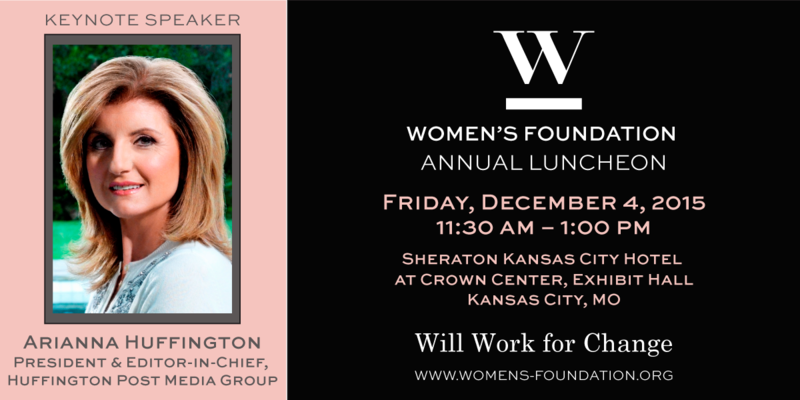 We are happy to announce general ticket sales for our 2015 “Will Work For Change” Luncheon will be coming soon! We invite you to join us for a day to celebrate the work we do for women of all ages and to get inspired by Arianna Huffington, President & Editor-in-Chief, Huffington Post Media Group. Sponsors, Investors and Inner Circle members are still encouraged to reserve their tables and tickets as well. If you are interested in becoming a member of the Inner Circle learn more HERE. We are anticipating a sell out crowd again this year so make your reservation today. Please contact Alison Patterson for more information. 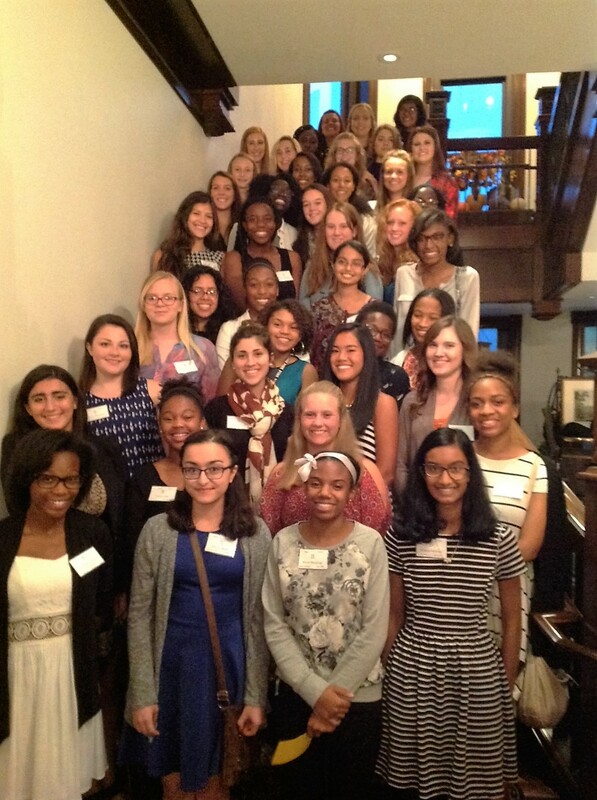 We welcomed our largest class of Girls Leadership Program members during a celebration on Wednesday, September 23. All 50 members and their families were invited to join us for a reception at Webster House. The new members were given an introduction and overview of the program and the opportunity to network with each other. Check out these photos from our event! Every year the Women’s Foundation announces a package of grants that aim to invest in improving the lives of women of all ages. These grants support a wide array of organizations and education systems that strive to improve all aspects of women and their families’ lives through education, career coaching, financial support and other means. Each month the Women’s Foundation will feature a recipient of our grants in the newsletter. This month our featured grantee is the Women’s Employment Network (WEN). Women’s Foundation supports the WEN’s Financial Coaching and Credit Building Program, which aims to ensure that women's career gains are translated into increased wealth and economic security. The WEN helps women earn a brighter future for themselves, families and our community. Through structured and personalized career services, WEN creates positive change in the lives of women who struggle with social, economic and educational barriers to employment. WEN’s efforts help women discover their own abilities, gain employment and build a better future for themselves, their families and their communities. We’re proud to contribute to their mission. Newer Post2015 Annual Luncheon Tickets Now on Sale!